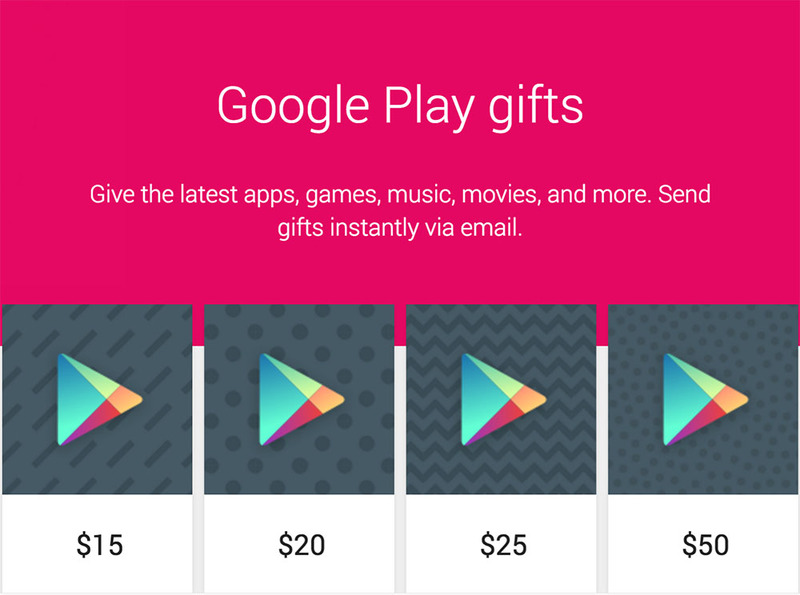 Did you know that you can email Google Play gift cards to people in $10, $15, $20, $25, $50, and $100 increments? Well, you can! And because you can, we decided it is once again time to give a bunch away to you. In fact, we’ll hand out a total of $250 in Google Play gift cards within the next 24 hours. Sound good? As always this type of giveaway is as easy as it gets. We have a Rafflecopter widget below that you must enter through in order to win. There are three simple instructions for you to follow in order to enter. You don’t have to do them all, but if you do, your chances of winning go up. Once you have entered, sit back and wait for names to be drawn tomorrow morning. 16 will be drawn. We are giving away $250 in Google Play gift cards to 16 people. Six (6) people will win $25 gift cards and ten (10) people will win $10 gift cards. We’ll choose winners tomorrow (December 29) at 10AM Pacific. We’ll contact each through the email they used in the Rafflecopter widget. Once they confirm where they want the gift card sent, we’ll send over prizes. UPDATE: Winners have been chosen and emailed. Be sure to check those spam folders. If you won, you need to respond in order to get your prize.